Fokus på grön energi och rörlighet, smart buildnings, avfallshantering och återvinning. Denna resa erbjuder en inblick på vad som pågår i Förenade Arabemiraten och vad som kan förväntas inom en snar framtid. Ta chansen att åka till Dubai – där finns drivkraften till att få saker och ting att hända. Detta event ger möjlighet att följa med den Belgiska truppen på studieresa. Whereas the UAE up till a decade ago were exclusively focusing on ‘fast & impressive’ real estate development, the country is now taking the lead in the Middle East in the field of ‘sustainable thinking & development’ and ‘technology & Innovation’. This trip wants to offer a view on what is currently going on in the UAE in the mentioned fields and what’s to be expected in the near future. 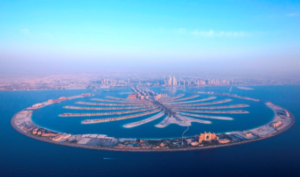 The UAE are the leading country in the region and within the UAE Dubai is – together with Abu Dhabi – without any doubt the driving force that ‘makes things happen’. We therefor chose Dubai as exclusive destination for this trip. After having organized over 15 ‘Facility Trips’ for the Benelux market, the aim is now to clearly go beyond Facility Management and to focus on those items that have become crucial issues for facility & real estate managers, COO’s and similar functions. Green Energy, Green Mobility, Smart Building & Living, Waste Management & Recycling are items that are high on the agenda in Dubai now and we offer the opportunity to study them on the spot. Don’t think you will be visiting an Arabian version of Silicon Valley as most of the technology and innovations you will encounter in the region will look familiar. Indeed, all innovation and technical evolution is ‘imported’ from Europe and the USA but because of the unlimited financial means and the strong will of the Rulers of Dubai and Abu Dhabi, it will only be a matter of years before Dubai and the UAE will take a leading role in technical and scientifical development and will become a world landmark in the mentioned fields. Join the trip and become a witness of the way Dubai and the UAE are preparing themselves for this!